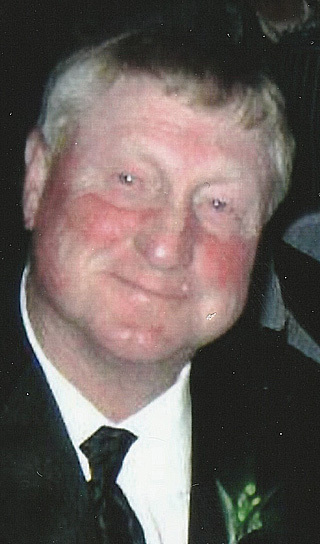 Douglas M. Walters, age 67, of New Ulm, died Wednesday, April 10, 2019 at the New Ulm Medical Center. Funeral service will be 11 a.m. on Wednesday, April 17, 2019 at St. John’s Evangelical Lutheran Church in New Ulm. Pastor Rob Guenther will officiate. Private family burial will be in New Ulm. Visitation will be from 4-7 p.m. on Tuesday at the Minnesota Valley Funeral Home – SOUTH Chapel in New Ulm. The visitation will continue for one hour prior to the service at the church on Wednesday. Doug is survived by his wife Rita; his sons, Ryan (Tiffany) of Papillion, NE and Mitch (Casie) of Courtland; a granddaughter, Nora “Boon” Walters; his mother, Norma Walters; and a sister, Patti (Paul) Heyl of Bird Island. He was preceded in death by his father, Willie; the love his life, grandson, Dominik Walters; his in-laws, Clarence and Josephine Fredrickson; and a niece, Michelle Erdmann. Douglas Melvin Walters was born on July 13, 1951 in New Ulm to Willie and Norma (Filzen) Walters. He graduated from Cathedral High School in 1969. Doug was united in marriage to Rita Fredrickson on July 4, 1975 at Woodlawn Evangelical Lutheran Church in West Allis, WI. He retired after 40 years of working as a cement finisher for Heymann Construction. He was a member of the Bricklayers & Allied Craft Workers Local 1. Doug had a passion for fast pitch softball — playing, coaching, watching and reminiscing. He followed Minnesota sports, especially the Twins. He loved to listen to AM radio — all night long! He loved cooking for a crowd, mushroom hunting, driving around the area — especially gravel roads, and gardening – always wanting to be the first with a red tomato on the vine. He took his boys duck hunting on Swan Lake and he deer hunted “up north” where his grandpa Ferd had lived. He lit up when talking about his grandchildren, Dominik and Nora. He loved being Papa! In lieu of flowers, the family requests memorials to the Dominik Walters Memorial Fund which will complete community projects in Dominik’s name.